I had the ad up in the shops only for about a week and a lady rang me on Thursday about it. She would be interested in one of the kittens. So in the evening time she came over and had a look at them. She decided to take the one with the black spot on the nose. She collected it this afternoon. I am glad he got a nice home. 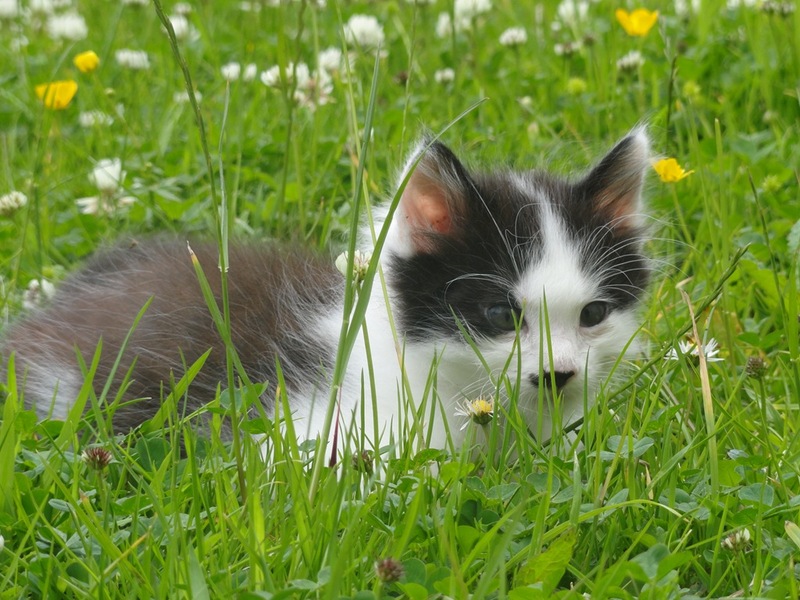 Another guy on boards.ie who lives in Sligo was interested in one of the kittens as well. He came over this afternoon (before the other was given away) with his 5 year old niece. She liked the black one. In the end he decided to take the 2 of them. Missy seems to be very sad at the moment I think. She is wandering around the house meowing looking for the other 3. Poor thing. 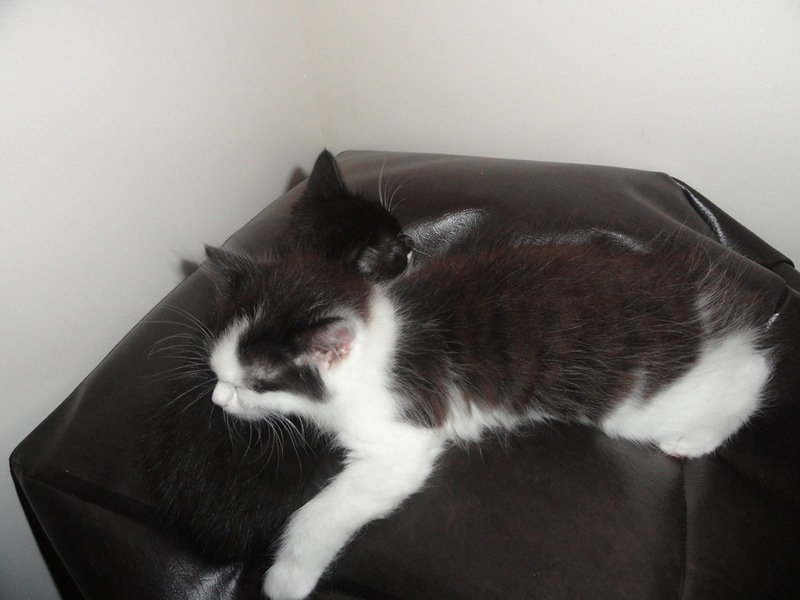 But it is good that she still has one kitten remaining so she won’t be lonely and can play mammy still.